Meogames may be a newcomer of sorts in the mobile game space, but their new iOS title, Champion Eleven, has been a solid debut thus far. 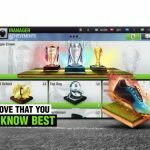 It is one of many soccer management games which you can download for your iPhone or iPad, and we do admit the genre is getting a bit crowded, but fortunately, the folks behind the game have done their part to make it feel as unique as possible, with enough twists and special features to set it apart from the competition. 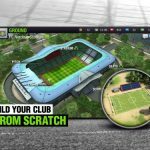 The game allows you to run your own FIFPro-licensed team, which means real-life players for your fictional, self-named team, and manage your team as you watch the game play out, choosing tactics and making substitutions as needed. The game’s description also bills this game as a “play it your way title,” meaning you can achieve success in more ways than one, may it be in terms of finances, fan base, or your win-loss record. Regardless of which way you wish to play, there are many aspects of the game that need to be mastered, which is why we’re back with a second Champion Eleven strategy guide, this time focusing on tips for intermediate players. Keep on reading as we talk you through some of the other features you will be unlocking as you continue leveling up and adding players to your team! You’ll need them if you’re looking to become an expert at this game. After you make it to player level 7, the next mode that will be unlocked is the Ranking Match mode, which is where you can finally take on live, human players. One good thing about this mode is that there’s no shortage of human players, and the matchmaking system shouldn’t take too long to find someone for your team to face up against. Ideally, you will be paired against a team whose statistical rating is similar to yours, but you may notice there will be times when you will be up against substantially better, more talented teams. Still, those matches aren’t impossible to win, provided you do the right things — choosing the right tactics, fielding the right players, and not fatiguing your best players by playing too many matches! Remember that fatigued and/or demoralized players take a statistical hit, and you wouldn’t want that to happen to most of your top players, because there are higher stakes when it comes to ranking matches! For example, the daily reward is 100 Fame (which we hope to cover in our advanced guide) and 50 Tokens, while the season rewards are as high as 1,000 Fame and 80 Tokens — that’s a lot of resources to help you improve your team! Read on for more specific tips for Ranking Match play. Before that, however, we should also inform you at this point that you do not have the option to speed up Ranking Matches. This is good, because you have more time to substitute players or change tactics, but might take some time to getting used to if you’re the type of player who always switches to 2x when playing League matches. 2. What Tactics Are Best To Use For Ranking Matches? When it comes to choosing tactics, it will often depend on your play style, but there are some tactics to employ that work better than others depending on the situation. For example, you’ll want to employ a pressing defense — that’s the High Stress tactic, to be specific — if you’re trailing. Likewise, a Fast Counter offense works best if you’re trying to come from behind, while using Short Pass is a good idea if you’re ahead, as you’ll want to play it safe and protect that lead. Take note that these tips apply to just about any other mode in Champion Eleven, but more so than in League mode when you’re playing Ranking Matches. We recommend using League mode to get a feel for new formations and tactics you haven’t tried yet, but don’t experiment too much, as winning League matches can still help you level up! Given the stakes we mentioned earlier, we would recommend that you do not play too many League games before playing Ranking Matches. But if you really should play League games — these are, after all, worth a few experience points that could still help you in leveling up — we recommend that you manually adjust your lineup in such a way that you’re fielding your second unit for those matches. League play is easier than Ranking Match play, because one, you’re up against AI teams, and two, AI teams’ stats are generally worse than yours. Much worse, in fact, when it comes to the leagues you may be playing in at this point. A killer schedule could take its toll on any soccer team — they’ll be playing off-form soon enough if you overexpose them and play them in so many consecutive matches. That also applies in Champion Eleven, so learn how to rein it in, even if this is quite an enjoyable game, especially once PvP play becomes available. We did tease this in our Champion Eleven beginner’s guide, so pay close attention if you opened up a player pack, only to get a player who’s already on your team. 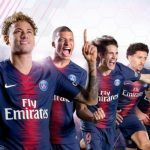 Sooner or later, you will encounter your fair share of duplicate players, and you may notice that you won’t be able to field two of the same player at the same time — in the interest of realism, this is definitely understandable. But those duplicate players shouldn’t, and actually won’t, go to waste, as you can take two of the same player and develop them. Go to the Players menu then tap on the barbell icon — this will show you a list of players whom you have duplicates for, and once you select one of those players (by tapping on both the actual player and his duplicate), the game will ask you whether you want to develop them or not. You’ll have to pay some cash for this, but that shouldn’t be a problem, at least at first. At this point, you’ll find out that successfully developing a player is not an automatic guarantee. Take a look at the Chance of Success, which will show you the chances of the development working out favorably, and the Demotion Probability, which shows you how likely a player will be ranked down instead of ranked up. The game will also warn you that demotion failure at level 8 or higher will result in your player’s rank going back to its default +1 rating! Keep all of this in mind before you push forward with the development process, because it won’t be as easy or as straightforward as it seems at first. Although Champion Eleven has a more in-depth transfer market available once you reach level 12 in the game, you can still transfer players by clicking on the Transfer button below the Develop button in the Players menu. 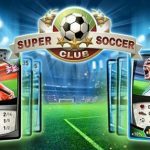 You won’t receive that much cash by selling players via this method, but you can get some EXP to help you level up, and that’s never a bad thing. Just tap on the players you wish to sell off via quick transfer — you will need to choose at least two — and you’re all good to go. 6. What Does Restoring A Player Do? Unfortunately, it’s not what you might have hoped it is. The Restore button is the bottom-most one on the right side of the Players menu, and by tapping on this, you will get to restore players, but that does not mean restoring them to their peak rating, unfortunately. What you’re essentially doing here is taking back the EXP that the game had applied to them, and transforming that EXP into an EXP Card. That’s going to result in a lower rating for the restored player, but the upside of this is that you can use those EXP cards on your best players, allowing them to level up faster than your less talented players! Obviously, this would mean you should focus your restoration efforts on the lesser lights of your team, and apply the EXP, just as we had said, on your top guys. 7. A Starter Pack For A Dollar? Since the game’s last update, we’ve seen some deals pop up after Champion Eleven introduction screen, and while not all of them are affordable, the game is offering a rather bare bones Starter Pack, which is 200 Tokens and one Diego Costa player pack. Currently, this pack is priced at $0.99 USD, or its equivalent in local currency, and if you think of the 200 Tokens, that’s a pretty good deal if you’re willing to pay some money (and hopefully just some of your real money) to improve your chances of breezing through this game from strength to strength. The player pack is a nice addition as well, so there’s also that to consider. Of course, buying the Starter Pack is merely optional, and we believe you’ll still have a pretty good chance of making good progress game, provided you’re patient enough, even if you don’t pay real money for anything in the in-game shop or outside of it. 8. Should You Get A New Team? Before we proceed any further, take note that “new team” does not refer to a second club in Champion Eleven. Instead, the “teams” here are the ones you can access in the Club menu, and these are the ones that work on the improvements on your different buildings. Should you invest 200 Tokens — and yes, that is a lot of tokens, unless you’re loaded on them — on buying a new team of workers so that you can work on two buildings at the same time? As we hinted in the first paragraph, buying a second team is best recommended if you’ve got a ton of Tokens on hand, with 200 being a mere drop in the water compared to what you currently have. We’d say this would be a good move if you’ve accumulated about a thousand Tokens thus far. Otherwise, being patient is the name of the game when it comes to your building upgrades. Do not spend Tokens to speed up the upgrading process, and don’t be tempted to blow 200 of them right away so that you can have two teams working on two buildings at the same time. Once you reach level 8, you will unlock the ability to edit the pre-existing tactics that come with Champion Eleven, or create your own. We would like to call this one of this game’s more unique or unusual features, as it isn’t everyday that you see a mobile soccer management game where you can edit or create tactics and go beyond the stock strategies that come prepackaged with the game. You can access this feature by going to the Formations menu, then tapping on the button with X’s and O’s on the right side of your screen. From there, you can edit how each player on the field would move when employing that strategy; tap on a given area on the field and choose from the options in the drop-down menu. For example, if you tap on the opponent’s goal, you can choose from Drible In, Zig-zag Forward, or Take Shot Chance, and if you tap on the midfield, your options will be To Left, To Right, and Pass Forward. Do we recommend using this feature? Well, if you’re the type of player who loves to experiment, you can go ahead and give it a shot — any changes you make will allow the tactic to be saved under Custom, so you need not worry about making any unwanted changes to a stock tactic. Having only one custom slot each for offense and defense may seem limiting, but at least it keeps things simple enough for anyone who isn’t used to having such a feature available at their disposal!